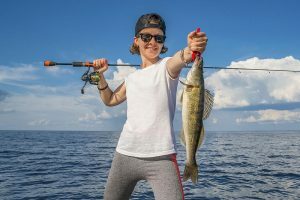 Saginaw Bay, Bay City Area: before the storm and artic temperatures, some nice catches of big perch were taken very early in the morning off Vanderbilt Park in six to eight feet. 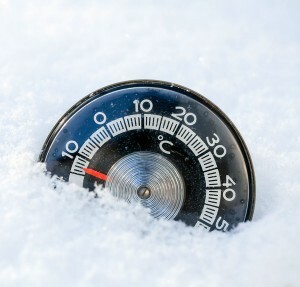 Some fish measured 12 to 14 inches. 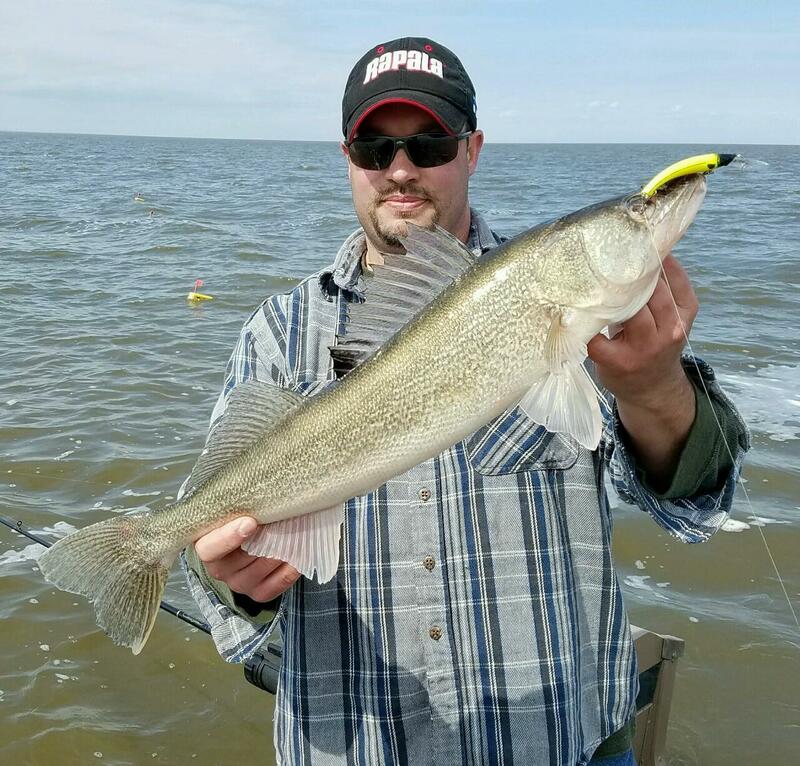 Walleye were taken north of Spoils Island. A lot more pressure cracks developed along the west side especially from Pinconning south to Erickson Road so be careful out there! Some anglers are still heading out seven to eight miles but fishing has just not been that good. Perch anglers from the Sebewaing area were going down to Quanicassee to fish Vanderbilt Park. 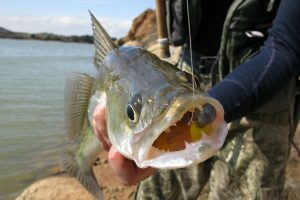 At Mud Creek, fishing pressure was light and perch catches were averaging six to eight fish per angler if they kept any. Pike spearing on the east side of the bay is really slow this winter. A few lake trout were caught in the Caseville area. Saginaw River fishing on the river was uniformly slow from the mouth all the way through Saginaw. Those using underwater cameras off Wickes Park in Saginaw could see walleye however they either ignored the bait or followed it briefly then swam away. While the fish are in no mood to bite, try this weekend as the warmer weather may entice them. Au Gres Area anglers were not able to head out from Booth Road because of problems with snow drifts. Access is still possible off Santiago Road where a few walleye were caught in 20 feet. A few walleye and a couple nice perch were taken off Palmer Road in 10 feet. Rumor has it some nice catches of perch were taken off White’s Beach. Tawas Area fishing was between slow and non-existent due to weather conditions. 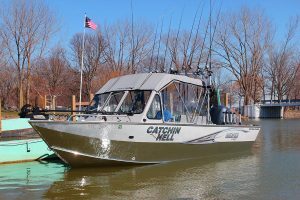 A few walleye and small perch were caught in 22 feet off Jerry’s Marina. There are numerous tactics anglers can implement to experience great walleye, northern pike and panfish fishing. 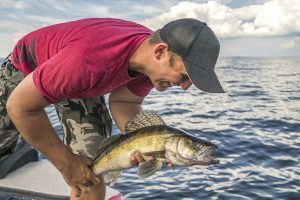 When fishing for walleye, one thing to think about is to look for the right areas within a lake where you can find decent sized fish. 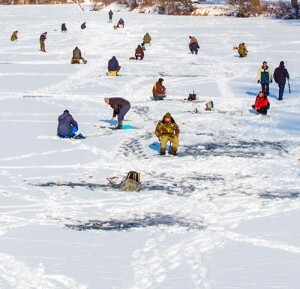 Suggested locations include turns, big changes in depth, humps or other places walleyes like to sit tight. Also remember the critical periods of time when walleye are best fished: early and late in the day. 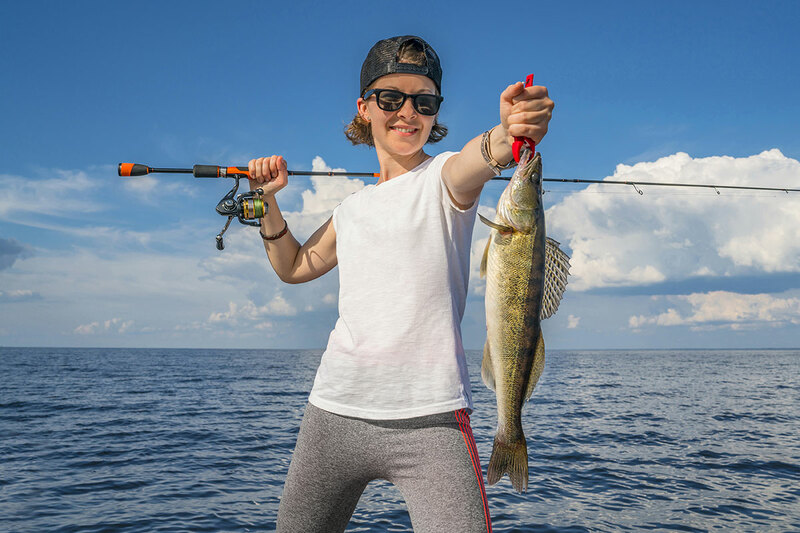 For more information on fishing for walleye in Michigan, check out their page online. When fishing for northern pike, something to remember is that most of these fish are hiding out in weedy areas where they can take cover yet still find ample food sources. Often times these spots will consist of bays with access to deep water. For more information on northern pike fishing, check out their page online. And lastly, when fishing for various panfish, it’s important to note that these species typically live just about anywhere so you should work the entire water column when you head out. For those in shallow water, they’ll typically feed for short periods of time in the very early morning and late in the day. For more information on fishing for panfish in Michigan, visit the sunfish page or the crappie page.